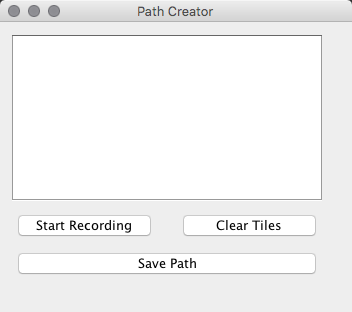 For select individuals who's bot "forgets" saved paths after a few runs this is due to your operating system clearing out the temp directory where Powerbot allows us developers to store local files and you will have to manually change your computer settings. I have made numerous requests to the Powerbot developers to give us a persistent storage area however they continue to refuse with no valid explanation for their decision. You can see my original request (which was denied) here. If this is something you'd like to see implemented (a persistent storage location) please create a request here and hopefully the developers will listen. Sorry for the inconvenience. 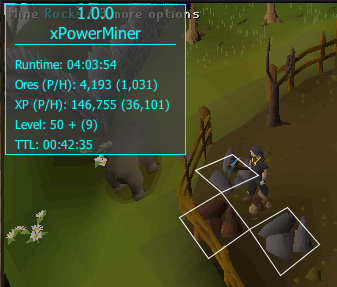 Nice script, works well and flawlessly from what i've seen so far, however in the picture it says you're getting 34k xp/hr at 49 mining and i'm 68 mining getting only 22k/hr at the same spot. Am I doing something wrong? 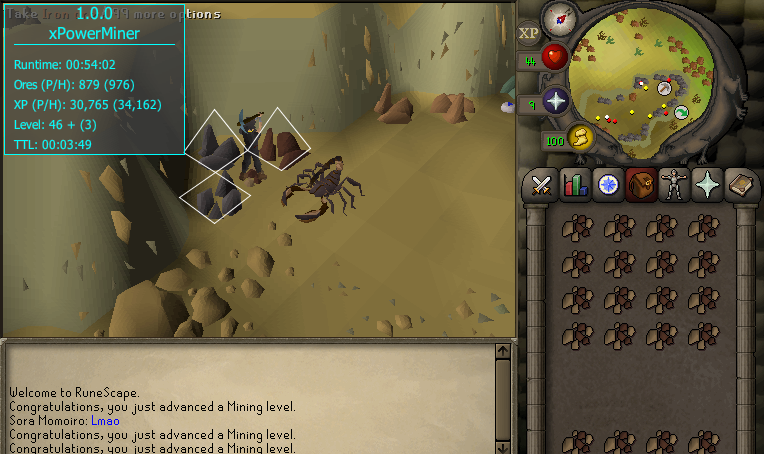 I'm using a rune pickaxe with mouse key dropping. Follow the instructions. If nothing is getting highlighted let me know what location you're at. Is there a way to make the pointer move faster? The M1D1 is really slow, to the point where it's not actually M1D1. If there is not a way to make the pointer move faster, can you fix that please? There is currently no way to increase pointer speed. 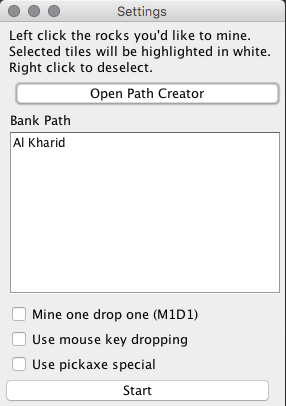 Just use mouse key dropping. 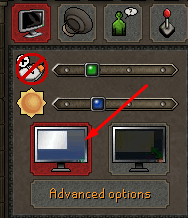 It's been working perfectly for me for the last week at Varrock east. This afternoon I noticed my exp/hour was down from around 17k to 4k. I just restarted the client and script and now it doesn't work. Doesn't highlight the rocks and more and when I click start the little status window doesnt come up either. The only way I know it's running is it's still (right) clicking on things. Doesn't drop, doesnt mine. No flaws for the last week before this. Edit: After a few restarts it looks like it's working and back to normal speed. Updated to become a full miner with banking. i buy membership rs07 for this bot and dont even works..
Because that bug report helps me fix a lot. script freezes when i ajust tile radius? Old School RuneScape has been updated meaning RSBot needs to be as well. Please wait on an update by the developers. As always give the server 15-30 minutes to rebuild the script. Not sure if you care, but this seems to happen a lot. Clicks much too early on faster spawning ores. Can you restart your computer and see if the problem persists? Did you restart your computer like I asked?